John Spangler is a former co-chair of the firm’s Construction & Government Contracts Group and has over 25 years of experience handling construction disputes and negotiating and drafting design and construction contracts. 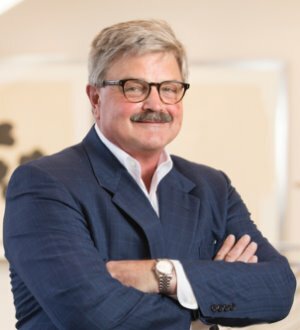 John’s practice focuses on representing owners, contractors and design professionals in construction disputes, including jury trials, arbitrations and mediations. John has defended and prosecuted all types of construction-related claims, including delay, interference and acceleration claims, extended overhead claims, and claims of defective construction and defective design. John also handles bid and procurement protests and government contracting disputes. On the transactional side, John has extensive experience with teaming agreements, joint venture agreements, design-build, general contractor and construction management contracts, architectural and engineering agreements, program managements and project management agreements. He is featured as one of the leading Georgia lawyers for construction in Chambers USA: America’s Leading Lawyers for Business and has been listed in The Best Lawyers in America since 2004. John also has been recognized by Who’s Who Legal and Super Lawyers magazine since 2006. John received his J.D. in 1980 from Washington University School of Law and received his A.B. in economics in 1977 from the University of Illinois. He received an Amicus Curiae Award from the Georgia Supreme Court in 1986.